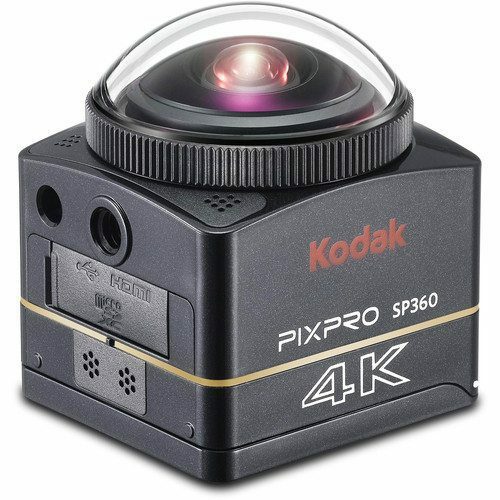 Introducing the all new KODAK PIXPRO SP360 4K VR Camera, designed to take your 360 VR videos, creative vision and passions to new heights. Prepare to marvel at the amount of detail, clarity and precision this compact VR Camera provides, which easily fits in the palm of your hand. 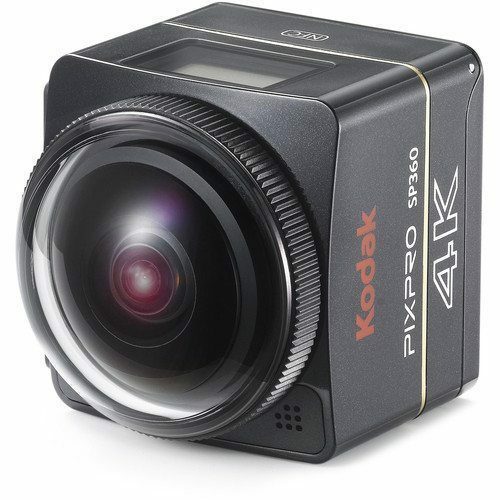 KODAK PIXPRO SP360 4K Digital Cameras. Nobody likes being told there are limits. You’re a risk taker, a pioneer, a visionary and someone who pushes past boundaries to redefine ordinary. 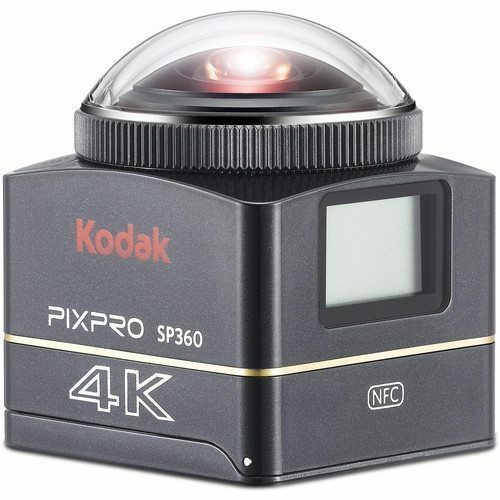 Harness the unbridled possibilities with the Kodak Pixpro SP360 VR Camera and take your imagination to new heights. Check out our online store and take your passion to the next level! This camera captures bird’s eye views like no other and 360° VR experiences that come alive. Your limits are only confined by your imagination – what is your true vision? They say everything is better when it comes in twos. So why would you limit your interactive video to only half of the big picture? Creating VR videos, simplicity and ease of use was front of mind when we created our dual camera base mount that gives you the flexibility of housing two back to back SP360 4K VR Cameras. Capturing and creating your own full 360° spherical VR videos is just the start. Now with our intuitive PIXPRO SP360 Stitch Software for Mac or PC, you can effortlessly join the video from two SP360 4K’s and create a fully immersive VR video. Talk about genius. I’m all in or nothing at all. I’ve shot incredible 360° video with my SP360 4K Action Cam, now what? Don’t stop there! Sure you can upload your 360° video to your own social media channel almost immediately, but don’t you want more? Transcribe and upload easily to your YouTube channel with our FREE Mac or PC PIXPRO SP360 4K desktop editing software. Now you have even more creative freedom to take your videos to the next level. Show us what you’ve got, you’ve earned it – now use it. Every App is not created equal – or so the story goes. See exactly what you’re framing and capturing as you record it. Add even more flexibility with ease to control your SP360 4K Action Cam remotely from your mobile device, be it Android or iOS. We know you want ample options and life isn’t lived tethered to a cable. Set your imagination and yourself free and watch what happens. Go ahead, be a show off. We won’t judge. We’re here to help you take your adventures, passions and 360° interactive videos to the next level. Let’s make you the next social media phenomenon, the risk taker who breaks all barriers and makes the ordinary extraordinary with a brand new breed of immersive 360° VR videos. Pushing boundaries and taking creative leaps is what you strive to do. Show us what you’ve got and let your interactive videos speak volumes for you. Compatible Devices iOS Devices (version 8.0 and up) / ANDROID Devices (version 4.2 and up) supported. iPad mini 1/ iPad 2/ iPhone 4s and below not supported. – easily overheat , within 30 mins camera shuts down ,luckily I dont normally record or for such long. If you are already a current action cameras, like Gopro, you will appreciate this technology better. 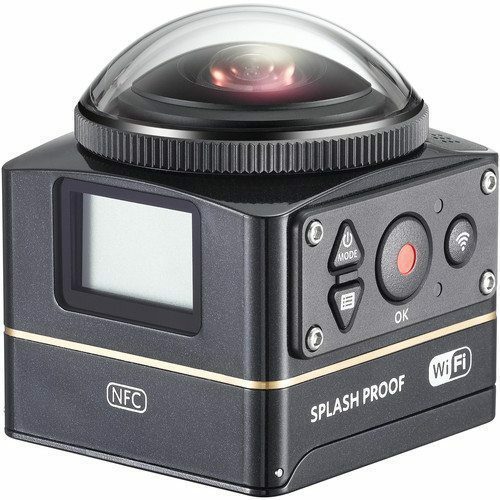 With 360 recording, you will now have all angle views instead of the current non-VR action cameras only the front or back scene is captured and recorded depending on your cameras angle setting. It will be definitely an interesting VR recording as you can now record and view all around you. Imagine if there is some interesting outbreak of event which attract high attention instead of turning the cameras, which you may not be able to do it in time, thus missed it, VR 360 cameras will never miss the chance. I have seen it in BCA 2016 that Sennheiser has come out with a 360 Mic to support the VR, can I have more details.